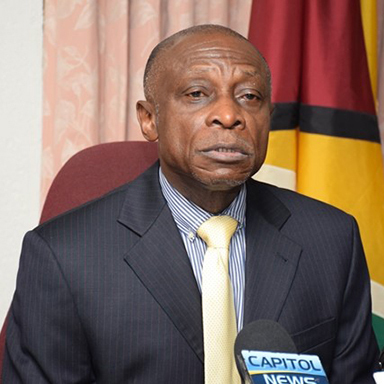 Temporary refuge and assistance while their homes are rebuilt for their eventual repatriation is what Guyana has offered to victims of the recent hurricanes in the Caribbean, Minister of Foreign Affairs Carl Greenidge says. Questions have been raised here about what President David Granger promised hurricane victims during a recent trip to New York. Greenidge cleared the air yesterday. 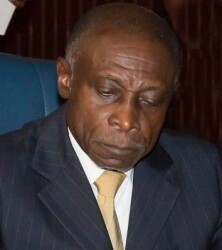 “What he (President Granger) is saying, in terms of hurricane relief, is that in the event there is a need for a temporary arrangement so that people be housed, as it were, while their permanent homes are being rebuilt, Guyana was prepared to make itself available for persons to be housed here in the very short term,” Greenidge told Stabroek News when contacted. Further, he added, “We don’t have a vast amount of cash available. We do what we can, but if space was a problem they could look to Guyana if the regional or international agencies are looking at disaster relief and displacement. If they were looking for space, we were prepared to make that offer. Greenidge explained that the president made this position clear when he spoke with the United Nations Development Programme representatives on hurricane relief and overall global warming. On the sidelines of the recent United Nations General Assembly in New York and following a meeting with Secretary General of the Commonwealth, the Dominican-born Patricia Scotland, Granger told local reporters that Guyana is taking the issue of global warming seriously and is doing all in its power to contribute to mitigation processes. Granger pointed to the recent series of hurricanes which devastated several Caribbean islands including Barbuda and Dominica. He vowed that Guyana would lead a charge on climate change mitigation while promising to be vocal at the next Commonwealth Heads of Government meeting. “In my lifetime I have never seen such a catastrophic series of hurricanes, starting from Harvey to Irma to Lee to Maria…and it is quite clear that climate change is not something we can ignore. Particularly, the small island states of the Caribbean have been very vulnerable,” the President said. “I more or less pointed it out to the Secretary General of the Common-wealth that next year, when we meet in London at the Commonwealth Heads of Government Meeting, we have to put the issue of climate change and the position of relief to the Caribbean Commonwealth states on the agenda,” he said. Pointing to the Carib-bean Disaster Emergency Management Agency (CDEMA), the President said that the regional inter-governmental agency for disaster management needed to be “broadened” to cope with simultaneous catastrophes. “We definitely have to broaden the platform for providing relief…We have to think about evacuation, where these people will go to. You can’t move them from one affected country to another affected country and more important we have to think about mitigation,” he stated. “We have to think about how we are going to prevent climate change at the global scale from affecting the small island developing states and also the low-lying coastal states. Because Belize, Suriname and Guyana can also be affected by global warming and rising sea levels. Even though we don’t get hurricanes, we are going to see a rising sea level which is going to jeopardise our sea defences,” he added. “Guyana has a very important role to play in all of this, particularly in the Caribbean. Number one, we are the largest Caribbean state and we have to consider our land space as being the hinterland of the Caribbean. We have to sit down and speak to other Caribbean states to see how this gift maybe could be utilized to maybe give the people in the Caribbean a better life in the wake of these disasters. 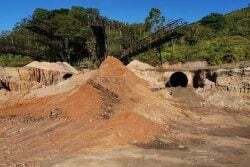 We have got to look at green technologies, extending our protected areas so that gradually global warming could be brought under control eventually so the tendency for the earth to get warmer could be slower,” Granger said. He said that given the recent devastation faced by sister countries in CARICOM, Guyana stands ready to offer a helping hand but that it would have to be coordinated and worked in (co-operation) with a relief agency or organization. However, to date no organisation has asked that any CARICOM nationals from the hurricane- ravaged nations be temporarily moved here.